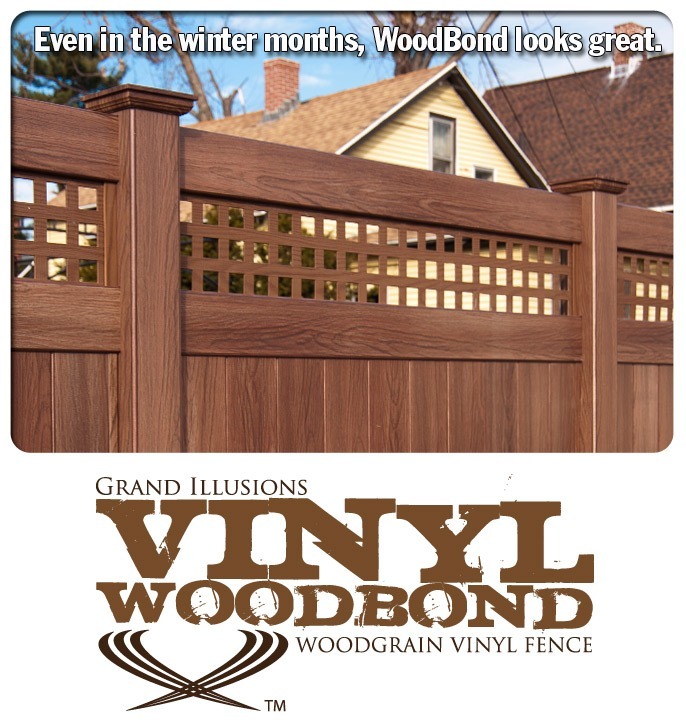 This week’s photos feature a beautiful install of the Grand Illusions Vinyl WoodBond woodgrain vinyl fence. 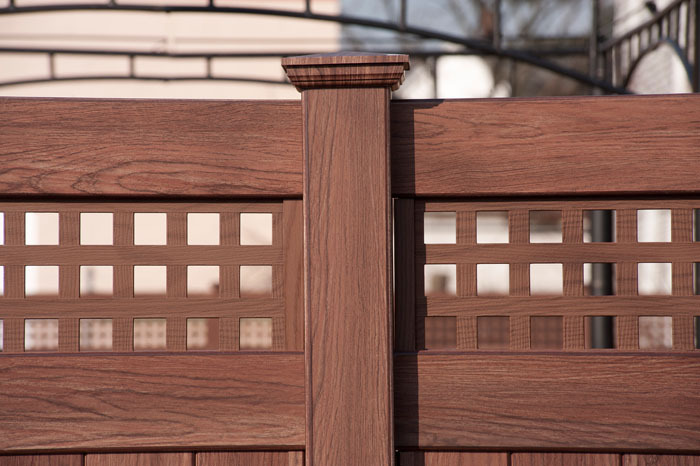 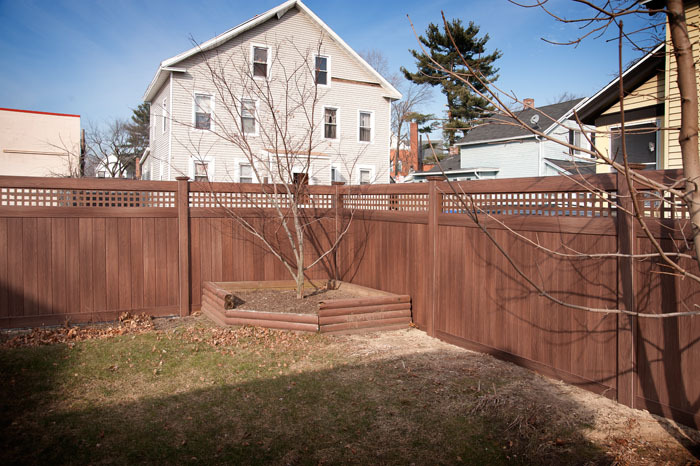 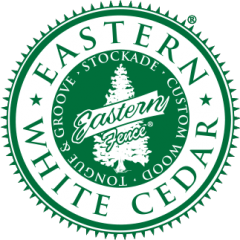 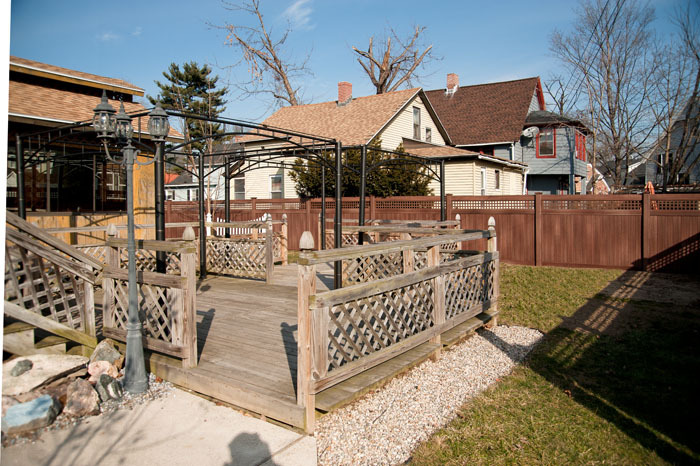 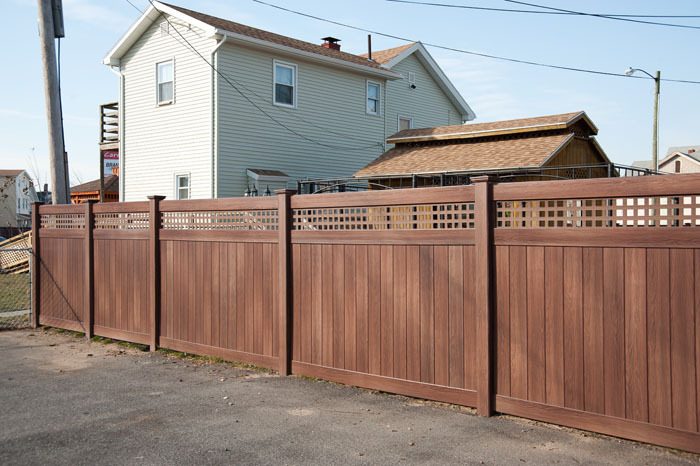 The specs are 23 sections of Walnut (W103) V3215SQ-6 Privacy fence with 6″ Wide Tongue & Groove Boards and Square Lattice. 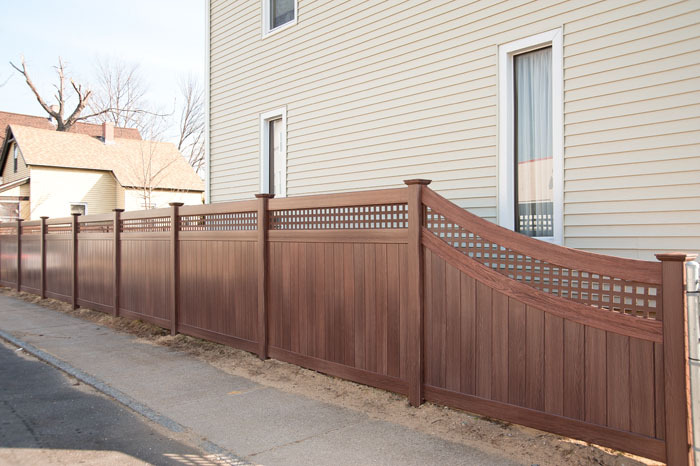 It also features a 6′ High to 4′ High D-Rail Transition Sweep style section at the end of the run. 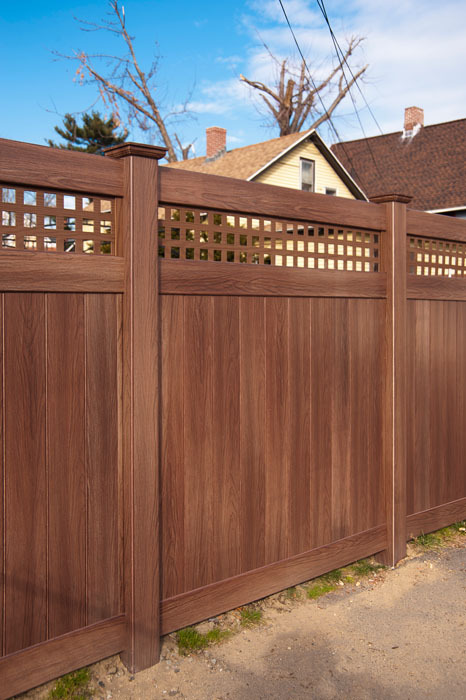 Even in the off-season months, the Walnut woodgrain fence blends with the environment and provides a soft backdrop to any outdoor living space.